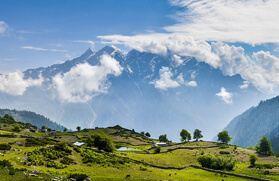 Acting as a bridge between Harsil in Garhwal and Sangla in Himachal Pradesh, the Lamkhaga Pass at an elevation of 5,420 meters, is one of the high altitude mountain passes in the Garhwal Himalayan region. 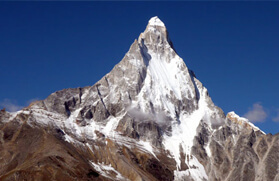 It is surrounded by several mountains those towering at an elevation above 5,000 to 6,000 meters. 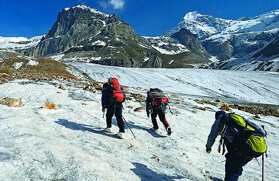 The trek to Sangla via Lamkhaga Pass is one of the toughest treks in the Indian Himalayan region that is located in the Garhwal Himalaya. It crosses through the dense forest of Deodar, Pine and Bhojpatra and then some downhill and uphill trail along the Jalindragad River to the meadows of Kyarkoti. 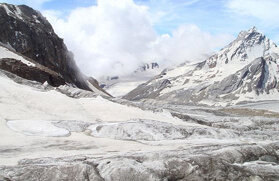 The journey encounters through numerous alpine meadows, moraines and small gushing streams followed by several secluded hamlets. 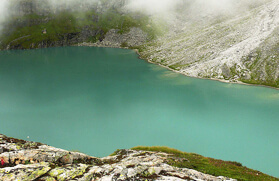 It also acquaint you with Baspa valley. Most of the trail being journeyed along the Indo - Tibetan border, one has to get an Inner Line Permit. The best time to hit the tracks is during the peak summer season and autumn. 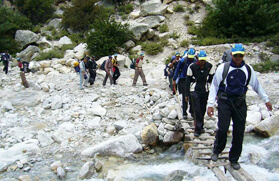 The Lamkhaga Pass Trek starts from Harsil, which is approximately 265 kilometers up from Rishikesh. 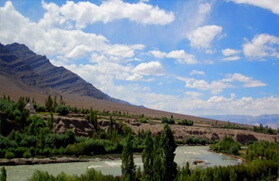 From Harsil the journey leads to Kyarkoti, which is a 14 kilometers trek and drops you at an elevation of 3,820 meters. 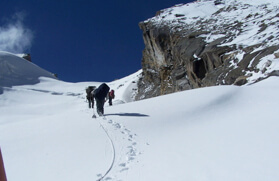 Hence one could expect a steep climb right away from the first day of the trail. 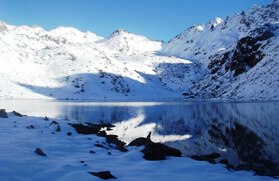 From Kyarkoti, the trek moves through a varied landscape and expunges to the glaciated tracks and lead to Lamkhaga Pass Base Camp at an altitude of 4,700 meters. 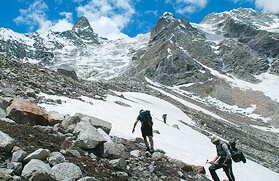 Thereafter, the trail heads upwards to Lamkhaga Pass, which is quite tough trail, and thence moves down to Gundar at 4,400 meters. From Gundar the trail continues down to Dumti at 4,200 meters and later heads to Rani Kanda, which is a 9 kilometers trek from Dumti. 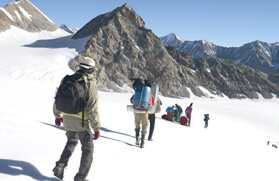 The Lamkhaga Pass trekking tour leads off at Chitkul via Nagasthi and later wheels to Shimla via Sangla.